The RAS Solution: HEC-RAS Version 5.0.7 is now available! Manning’s n Regions Override Bug. If you used the Manning’s n Region option in the RAS Geometry editor (Not RAS Mapper), there may be an issue with your final Manning’s n values not being correct within that Region. Unfortunately, in previous versions of HEC-RAS Geometry editor (5.0.6 and earlier), if you draw a Manning’s n Region polygon in the counter clockwise direction, a negative area was computed for the polygon (the shapefile standard is to store it in the clockwise direction). Because the polygon had a negative area, the polygon was actually not being used to override any of the Manning’s n values. This problem has been fixed in version 5.0.7. Users can draw these polygons in any direction. Uniform Lateral Inflow Bug. When using a uniform lateral inflow along a 1D river reach, HEC-RAS was not correctly putting all of the flow into the river from the uniform lateral inflow hydrograph when the lateral inflow extended across a bridge/culvert or an inline structure. The bug was caused due to HEC-RAS not using the length across the bridge/culvert or inline structure to compute the total lateral structure length, which is then used in computing the flow per foot along the lateral structure. The flow is then put in between the cross sections based on the flow per foot computed, times the length between the cross sections. However, no flow was being put in between the cross sections upstream and downstream of a bridge/culvert or an inline structure. Therefore that portion of the flow was not being put into the river. This mistake was introduced in version 5.0.4 and has been in the program since this version. This mistake has been fixed for HEC-RAS version 5.0.7. If you used a work around for this problem in the previous versions, remember to change the model back to the normal way of using uniform lateral inflows with no flow modifiers. Floodway Inundation Boundary Mapping Issue: Inundation Boundary polygons created by RAS Mapper for floodway analysis were not properly created if cross-section station-elevation data started with non-zero stationing. This problem did not occur for stationing data that starts at zero. RAS Mapper not Saving all Breakline Options Issue: The program was not saving all options when the user activates the option to “Enforce a 1 Cell Protection Radius” for some data sets. This was a problem as you continue to edit/modify your mesh, as those breaklines may not function as you intended them to. External SA/2D Hydraulic Structures Issue. The issue would happen for external SA/2D Hydraulic Connections (i.e. connecting a storage area to a 2D area, or a 2D area to another 2D area) when the length of the station/elevation data did not match the length of the structure centerline for cases when a geo-referenced centerline was used for the structure. The program connects to the 2D cells only based on the geospatial centerline and its length. If the station/elevation data has a length that is longer than this line, then the computational engine has a length of the structure that is not connected to any actual cell, and this causes the program to make incorrect flow calculations if that part of the structure is wet. The program now checks for this and does not allow a user to have a centerline and station/elevation data that are not the same length. Lateral Structure Connection to 2D Area Issue. There was a problem where the GUI was sending an extra 2D face point at either the beginning or end of a lateral structure connection. If a user tried to start a lateral structure with exactly the same coordinates as a facepoint, sometimes a round off of the numbers cause the interface to think it needed an additional facepoint in front of or at the end of the lateral structure connection to the 2D area. This was causing unsteady flow computations to go unstable with no message as to what the problem was. 1D Velocity and DV Mapping in RAS Mapper Issue. In version 5.0.6, if you have cross sections that do not start at a zero stationing, RAS Mapper was not correctly mapping velocity and Depth x Velocity in the 1D model region. Alternative Overbank Deposition Method Issue. The new overbank deposition algorithm in 5.0.6 was not connected to the Exner 5 and Active Layer methods (they used the old method by default). Only the Exner 7 method was being used (so turning it off did not revert to the old method). The new method (which limits overbank bed change to deposition for a whole computation increment, rather than a mixing time step) and the old method are now available for all three mixing methods. Max Water Surface Profile Issue. If a user had model “Warmup” turned on, the software was incorrectly including the initial condition at the beginning of the model warmup, as possible results for the maximum water surface elevations during the run. The maximum water surface elevations should not include any of the warmup time solutions. This has been fixed in 5.0.7. Also, if no model warmup is turned on, then the maximum water surface elevations should potentially include water surfaces at time zero (from the initial conditions backwater computations). This is how this works now in version 5.0.7. 1D Unsteady Flow Encroachments. The program was not allowing the user to put an encroachment at the cross section just upstream of a culvert. If the user put an encroachment upstream of the culvert, a bad water surface was being computed at this location (It was getting a water surface like 4000 ft in the air). RAS Interface is not Catching Bad Data for Internal SA/2D Hyd Conn. A 2D flow area with an internal SA/2D hydraulic structure must start and end at a face point. Enforcing it as a breakline will snap it to the face points. The program will no longer let you run a model where the internal structures do not start and stop at a face point. WARNING: when users first try a simulation in version 5.0.7 and there are internal structures that do not start and stop at face points, then the simulation will not run and the program will tell you the locations in which you need to fix this problem. RAS Unsteady Flow Sediment Transport Computations. The software was not running any unsteady flow sediment transport models. This was due to a mistake added just before release with the HDF file reads. Bridge/Culvert Editor HTAB Curves. 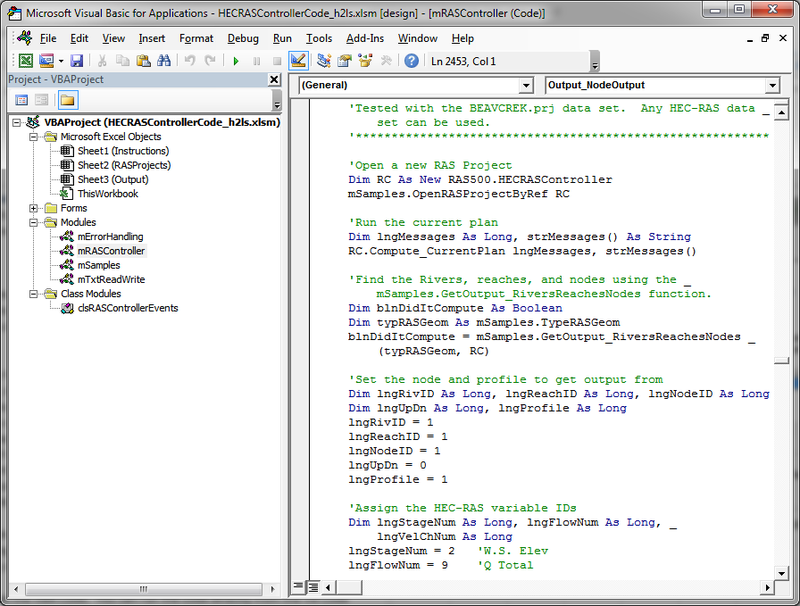 When you open HEC-RAS and a geometry file, the bridge/culvert curves get loaded into memory. From the Bridge/Culvert editor there is a button called "HTAB Curves" that allows you to plot these curves (and edit them). However, if you change the HTAB parameters that went into making the curves, rerun the model, and then click the HTAB Curves button, you would still see the original curves when the project was loaded, and not the new updated curves from the run. Plotting Observed Daily Instantaneous Data Problem. HEC-RAS was not plotting daily instantaneous time series data correctly for the hydrograph plots and profile plots. The data normally has meta data that says when the data was measured, for example “0600” on the day. But HEC-RAS was always plotting it at 2400 on the day. SA/2D Hydraulic Connection Culvert Issue. We received some data sets where users were drawing the centerline for a hydraulic connection from left to right in a specific direction, but then they were telling the software that the Headwater and Tailwater were the opposite of that. Additionally, they were drawing culverts from downstream to upstream. This was causing several issue. WARNING!!! The software now checks for this issue (above) and will not run if encountered. A message will appear telling the user that the direction they drew the structure centerline is inconstant with how they have headwater and tailwater defined, or they have drawn their culverts, gates, rating curves, or flow time series from downstream to upstream. 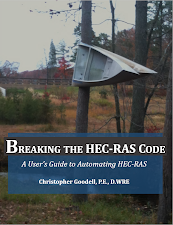 HEC-RAS requires the user to draw the structure centerline from left to right while looking downstream, and for the headwater and tailwater connections to reflect that (HEC-RAS will automatically connect it that way, but a user could change it). Additionally, all centerlines drawn for hydraulic outlets (culverts, gates, rating curves, time series of flows) must be drawn across the structure from upstream to downstream. Storage Area Initial Elevations Problem. Unfortunately, a bug was added to version 5.0.6 that stopped it from correctly initializing the elevations of storage areas whose initial elevations were left blank (undefined) in the Unsteady Data Flow editor. In 5.0.6, the program did not initialize the storage area elevations at all. SA's that are hydraulically connected to the river with a lateral structure should be set to the same water surface as the river across the lateral structure. This was not happening. All storage areas were being left dry at the start of the simulation. Storage Area Elevation Points Filter in RAS Mapper. 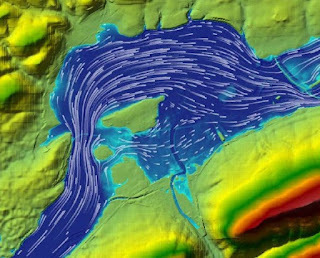 There was an occasional issue in RAS Mapper that when a storage area elevation relationship was extracted from the terrain, occasionally it would end up with thousands of points. The points filter routine had a precision issue that was causing this. Maximum Depth for Storage Areas. If a user had storage areas that were not connected to anything else (i.e. they only had a flow hydrograph attached to it). HEC-RAS was not correctly reporting the maximum water surface elevation. The hydrograph plots were correct, but the maximum inundation plot in RAS mapper was wrong. Dredge Material Unit Weight Issue. Dredged cohesive material used the cohesionless unit weight to convert from mass to volume. Dredged material now uses the correct unit weight. Import of Vertical Manning’s n values. When importing an existing HEC-RAS model into another existing model, if the mode to be imported had vertical Manning’s n roughness specified at cross sections, those values were not being imported. This website does not open. Do you know why? It may not open from a proxy server. Try opening from your home computer if it’s not working at your business. New version does not allow me to select in RAS Mapper "New Land Cover"
Since downloading this version, I can't see my refinement regions in RASMapper, anymore. I've opened several of my models, and the refinement regions are gone from all of them. I tried opening them up in v5.0.5 which I also still have installed, and they don't show up in that, either. Anybody else seen this? Any idea what could be causing this? This is a bug listed in the 5.0.6 release notes. The mesh will still work, but the refinement region itself won't transfer over from 5.0.5.